There being many hidden gems lying undiscovered by the wandering tribe, the government of Himachal Pradesh has put the spotlight on ‘Nai Raahein Nai Mazilein’, a new initiative to bring attention to new destinations in this Himalayan state. For a start, the destinations of Bir-Billing – a globally famous site on the paragliders circuit in Kangra, Janjehli – a hidden rural charm in Mandi district and Chanshal with its alpine meadows that turn into pristine ski slopes in the winter in Shimla hills, are being developed by putting in place adequate infrastructure for tourist comfort. The allure of a lake in a mountain valley does cast a spell on you. Certainly the back waters of Maharana Pratap Sagar Dam in Kangra and Largi Dam in Kullu do so. Under the new program, the activities of House Boat accommodation, Shikara rides, Camping and water sports are being added to these destinations for engaging the visitor. Flanked by tea estates and mountains, the region is renowned globally for being a hub for adventure activities like Paragliding, trekking, camping etc.. 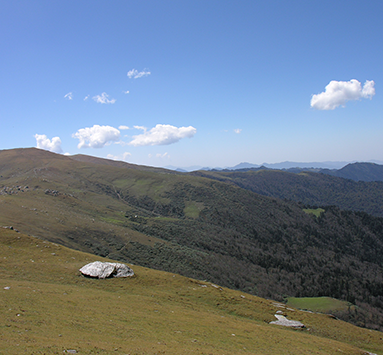 Billing is at a distance of about 14 km from Bir and is nothing short of spectacular, both in terms of scenery and activities. 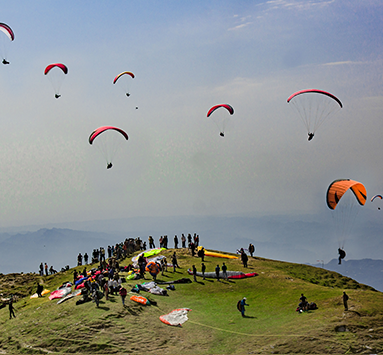 Billing, at a height of 2290 m, is the takeoff point for paragliding and the landing point is Bir at 1400m. Getting there: Bir can be easily reached by road from Palampur (30 km) and Joginder Nagar (16 km). Taxis can be hired from Palampur, Dharamshala or Joginder Nagar to reach Bir. Where to Stay: Himachal Tourism Properties Hotel “Tea Bud” at Palampur (30 km) and Hotel The “Uhl” at Joginder Nagar (16 km) from where Bir is easy to reach. Private hotels, guest houses and Home Stay accommodation is also available at Bir. 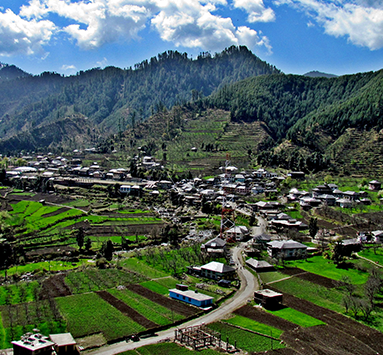 This picturesque valley, at an altitude of 2150 meters, is about 85 kms from Mandi. The farms and orchards laid out on gentle slopes, with mighty deodar (Cedar) and oak forests scaling the heights give Janjehli a laid back rural charm. It is a trekkers delight, with Janjehli being used as a base for many trekking routes that break out for places like Shikari Devi, Kamru Nag, Chindi, Karsog and Shoja from here. This wonderful place is being developed to offer more activities for tourists. With an increase in tourist influx, more employment opportunities for locals will be created. One of the most popular treks from here is to the Shikari Devi Temple. It is roughly another 15 kilometres from Janjheli. One can also trek to Karsog valley, about 16 km from here. Another place one just shouldn’t miss is the Kamru Nag Lake & Temple which is 16 km from Shikari Devi Temple. Where to Stay: Himachal Tourism operates a basic Trekkers Hostel at Janjehli. Private accommodation in the form of Hotels, guest houses and several Home Stay accommodations are available at Janjehli. The snow clad crest of Chanshal range ascends above the Pabbar Valley and catches attention like few other ranges. At about 180 km from Shimla, Chanshal Pass runs through all of Himachal in its full glory. As the region has such lofty peaks, mountaineering is a natural choice for adventure seekers here. Camping is also popular, as it affords views of the panoramic mountain range, the valleys, pastures and the water bodies that are in its vicinity. With many options to trek, you will be in a spot deciding between Buran Pass, Chandranahan Lake, Janghlik and more. At Chanshal valley, the adventure enthusiasts will have the option of high altitude trekking to Dodra, Kawar, Chander-Naun, Rupin Pass and Buran Pass. Where to Stay: Himachal Tourism’s hotel ‘The Chanshal’ is available at Rohru and ‘The Giriganga Resort’ at Kharapathar. Chanshal can be reached from State capital Shimla via Fagu, Hatkoti, Rohru and Chirgaon. 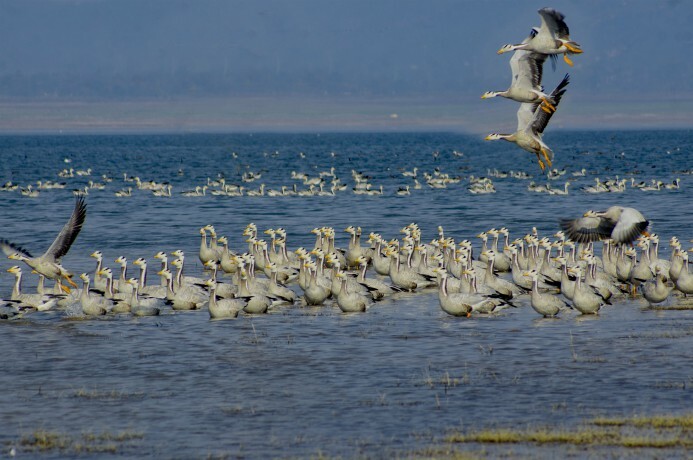 The water bodies like Maharana Pratap Sagar (Pong Lake) in Kangra District and Larji reservoir in Mandi district would be developed from tourism point of view. Activities like House Boats, Shikaras, Camping facilities etc. would be developed.